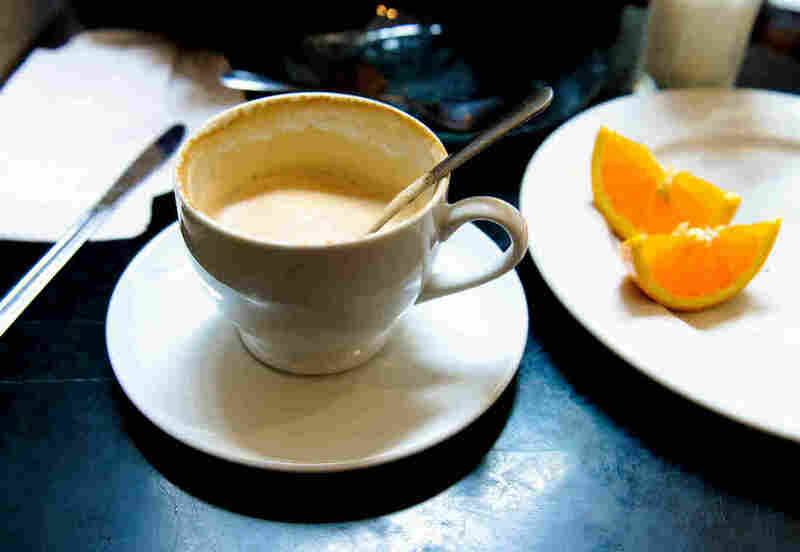 Italy's Coffee Culture Brims With Rituals And Mysterious Rules : The Salt Can you drink cappuccino after breakfast? Should you take espresso in a cup or a glass? Italy, perhaps the spiritual home of coffee, has much to say about when and how to enjoy it. Coffee — it's something many can't start the day without. In Italy, it is a cultural mainstay, and the country is perhaps the beverage's spiritual home. After all, Italy gave us the lingo — espresso, cappuccino, latte — and its coffee culture is filled with rituals and mysterious rules. 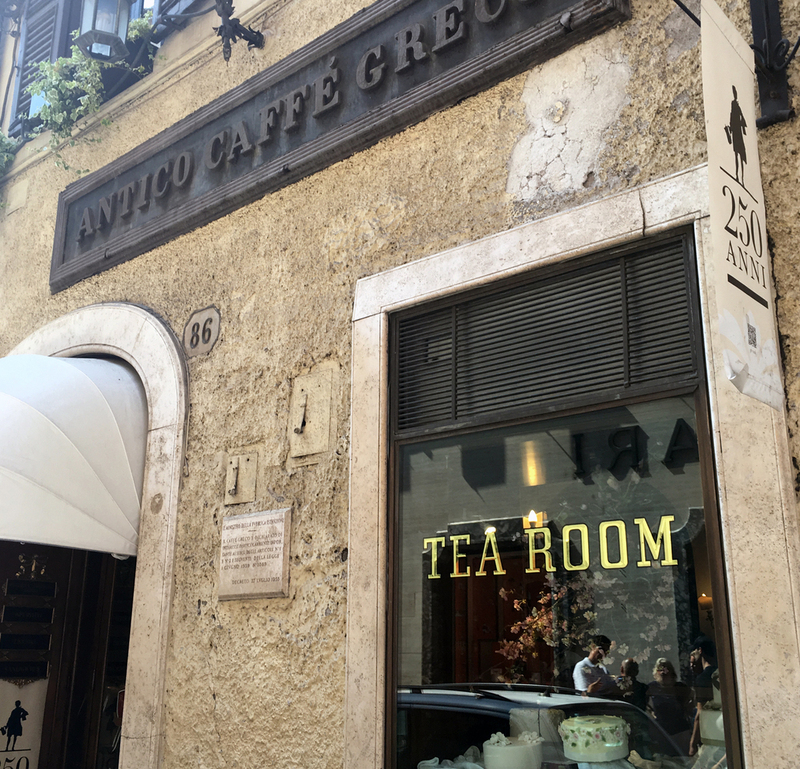 Caffé Greco is Rome's oldest café. Founded in 1760, it's also the second oldest in all of Italy, after Florian in Venice. The entrance to Caffé Greco, the oldest café in Rome. On a recent hot summer afternoon, Caffé Greco was packed with tourists on settees upholstered in red velvet. They sipped coffee served on tiny, marble tables, while admiring 18th-century landscape paintings that hang along damask-lined walls. Maitre d' Simone Rampone said that thanks to the quality of its coffee, Caffé Greco soon became very popular and was a favorite of writers from all over Europe, such as "Byron, Shelley, Keats, Gogol from Russia, Stendhal." He pointed out that we were sitting on the couch that belonged to Hans Christian Andersen, who for a time lived upstairs. Coffee was introduced to Europe in the 17th century. But it wasn't until the invention of a steam-driven, coffee-making machine in the late 19th century that Italy gave the world espresso. Espresso is not a particular coffee bean or type of roast. It's a method to brew finely ground and compacted coffee very fast, with very hot water, at very high pressure. Moreno Faina is the director of the University of Coffee, based in Trieste. Owned by the Illy coffee company, it holds courses for baristas, coffee producers and coffee bar managers. This is how he describes Italy's signature coffee beverage. 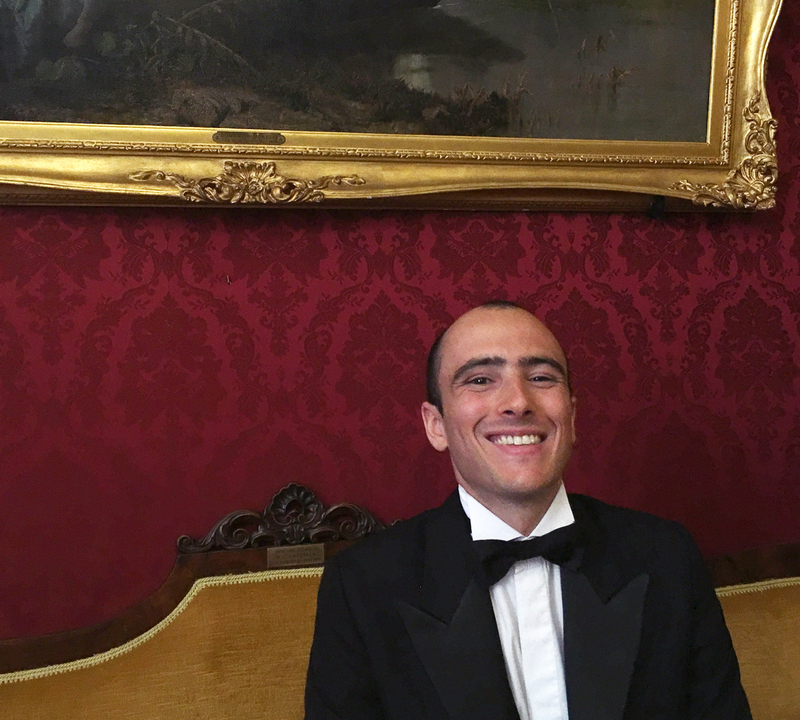 Caffé Greco maitre d' Simone Rampone sits on Hans Christian Andersen's couch. "So you need an espresso, you ask for an espresso and a barista will serve immediately the espresso just for you. In all other cases," adds Faina, "when you ask for a coffee, the coffee has already been prepared, while espresso must be prepared on express order." A landmark in Rome's Monti neighborhood is the Er Baretto café. Owner Marco Eskandar, an Egyptian by birth, and longtime Italian resident, reveals the secret of good espresso. "It's the 5 M's," says Eskandar. "Miscela — blend; macchina, the coffee machine; macinino, the grinder; manutenzione, machine maintenance; and mano, the skill of the barista." Eskandar is also a master of cappuccino — espresso and milk named for the color of the robes of Capuchin monks. While the coffee brews, he twirls a metal pitcher of milk under a spout of steam. When the milk turns frothy, he carefully pours it over the espresso, making it the canvas for a little work of art — a beautiful white tulip. According to Italian custom, I am violating an Italian taboo: It's afternoon and cappuccino is considered a breakfast beverage never, ever to be consumed after late morning. Elizabeth Minchilli — an American who writes about Italian food, wine and culture — says this unwritten law derives from a national obsession with digestion. "I don't think after a meal you would have a warm cup of milk," she says. Echoing the Italian coffee mantra, she says, "it's pesante, it's heavy!" Minchilli often warns Americans that if they order a latte here, all they'll get is a glass of milk. She stresses that Italian coffee culture has much to do with when and where the beverage is consumed. "It's always this social occasion, whether it is in the morning, afternoon, or 6 in the evening, and there are rituals that go along with it," she says. The most common ritual is drinking coffee standing up at a bar, chatting with the barista. Here in Rome, you'll often hear a person order an espresso or cappuccino served in a glass — many claim it tastes better than in a porcelain cup. And there are many varieties to choose from, from caffé' macchiato — stained with a swirl of milk, to caffé corretto — an espresso corrected with a shot of grappa or cognac. And, for summer, says Minchilli, there are refreshing variations. "Shakerato, it's when they put a shot of espresso into a cocktail shaker with ice and shake it, shake it, shake it, until it gets foamy and the ice kind of melts and crystalizes and then they pour it into a goblet. And that's fantastic!" Then, there's Granita di Caffé — a frozen mix of coffee, sugar and water usually served with a big dollop of whipped cream on top — which is how Italians even turned their beloved espresso into dessert.